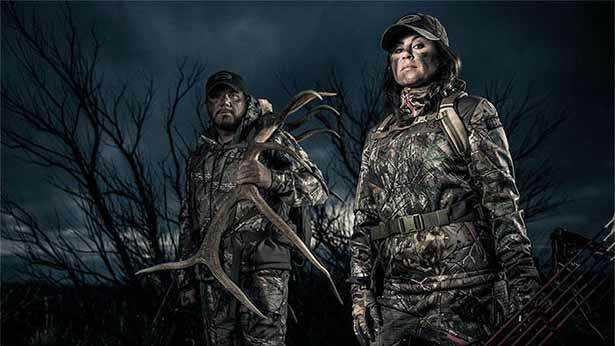 John and Gina Brunson, Co-Hosts of "Addicted to the Outdoors" on Outdoor Channel. Who knew that "America's Leader in Outdoor TV" has played Cupid to many of the most popular on-screen couples in the outdoor industry? From Lee and Tiffany to Ralph and Vicki, Outdoor Channel is the number one television destination to watch some married duos sharpen their skills, challenge each other, and share the beauty of what makes the great outdoors so special. Everywhere the viewer turns to these days, it seems that another real-life husband and wife couple are strengthening the bond and bagging some serious trophies together. We take a look at some of the coupleson Outdoor Channel. A wandering stream, a forested trail – when you’re outdoors, there are many paths to take. Somehow Jon and Gina Brunson found the best path that exists in the outdoors – theshared one. Gina grew up in a family large enough to staff more than two dozen baseball teams. Jon also grew up fishing and added hunting and camping to the mix. They met 18 years ago, and it wasn’t long before Gina’s natural competitive spirit shifted focus to big whitetails. Somehow the busy couple has found time to have six children. Both say that for them, the true value of the outdoors is not in the downed game, but in watching their children learn to enjoy the outdoors as they do. Are they living thedream? Absolutely! Ralph and Vicki Cianciarulo, Co-Hosts of "The Choice with Ralph & Vicki" and "Archer's Choice with Ralph & Vicki". Ralph and Vicki have done it all, from owning their own archery pro shop to outfitting for deer, bear and elk. They have worked from the bottom-up to earn a reputation that is second to none in the huntingindustry. Over the years, their mission has been to get more women and youth active in the outdoors and in hunting. They’re everyday ambassadors for family activities in a lifetime sport. Don and Kandi Kisky, Co-Hosts of "Whitetail Freaks". Married hunters, Don and Kandi run Kisky Productions. When not hunting, Don is working his large row crop farm in south-central Iowa and Kandi is either filming, promoting the outdoors, or taking care of their children. They've both taken some really large bucks. Kandi's top five bucks gross more than 160 B&C each, with her largest being 175 5/8". Don's top 10 bucks gross more than 170 B&C each, with the top being 213 4/8. You can see them both in 2009 on Whitetail Freaks. 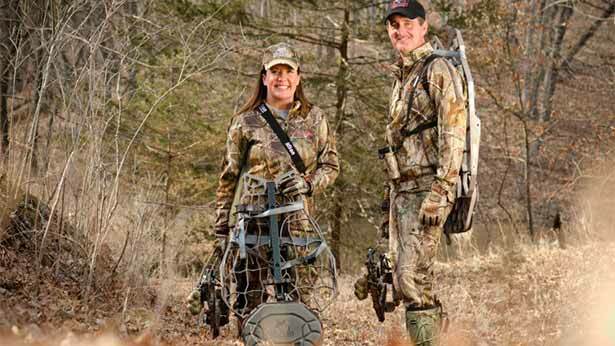 Rick and Julie Kreuter, Co-Hosts of "Beyond the Hunt". Rick and Julie first met while both were studying Physical Therapy in college. Julie grew up in a hunting family, but didn’t actually begin bow hunting until she and Rick were dating. Rick has been a lifelong hunter, and started outfitting in the early 1990s. 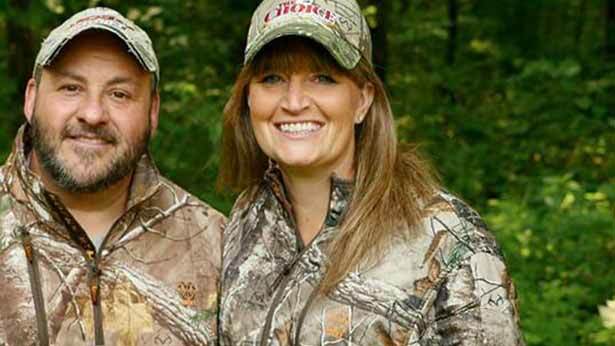 Rick and Julie love hunting big game and got their big TV break when they appeared on Dream Season: Couples with the Drurys. These two love the outdoors, camping, and hunting. More than anything, they enjoy being out in nature together, hunting hard, and sharing the experience! Lee and Tiffany Lakosky, Co-Hosts of "Crush with Lee & Tiffany". In an incredibly short amount of time, Lee and Tiffany Lakosky have become two of the hottest outdoor celebrities in the country. The duo met in Minnesota as teenagers but didn't realize their joint affinity for the outdoors, and for each other, until both were attending college. When they first started dating, Lee was working in an archery shop and Tiffany started to take an interest in the sport and worked on perfecting her shooting mechanics. The rest, as they say, is history. When not gracing the covers of countless catalogs, producing compelling outdoor television or writing articles for leading publications and websites, the Minneapolis-raised, Iowa-residing couple manage their farm for world-class whitetails.